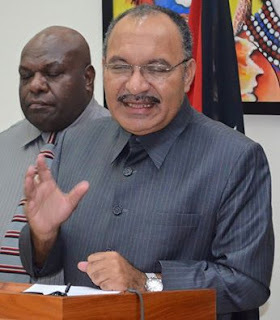 Prime Minister Peter O'Neill has rubbished a report by the International Montery Fund, which had projected the estimated cost of hosting the 2018 APEC meeting at 3-billion Kina. Mr. O'Neill was reacting to a series of questions from Rabaul MP, Dr Allan Marat. "Does the Prime Minister accept IMF's statement in its Article 4 as an accurate report of bilateral consultations? "Secondly, does the Prime Minister the IMF's assessment of K3bn as projected cost of of APEC? "And thirdly, is this 7% of Government expenditure, at a time when core services such as health are being slashed? The prime minister had this to say in response. "Let me stress here very carefully. "The amount of K3bn that's being mentioned by the IMF is utterly rubbish, inaccurate and not true.